This template is best showcased on a digital signage menu board and placed at the entrance as well as indoors. 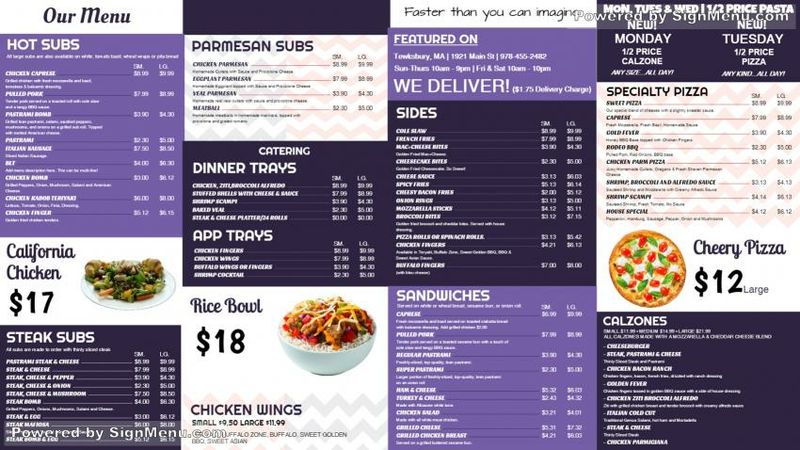 The colors in white, purple & black are very attractive and would create a compelling impact on the digital screen/menu board. Be sure to place your name/logo on the menu board suitably as branding the business has become imperative in today's day and age. This template is ready for you to download , edit and use.